Gran Torino font here refers to the font used in the poster of Gran Torino, which is an American drama movie released in 2008. The font used for the movie title in the poster is probably Gotham Black designed by Tobias Frere-Jones in 2000. The font is a commercial one and you can view more details about it on Typography.com. 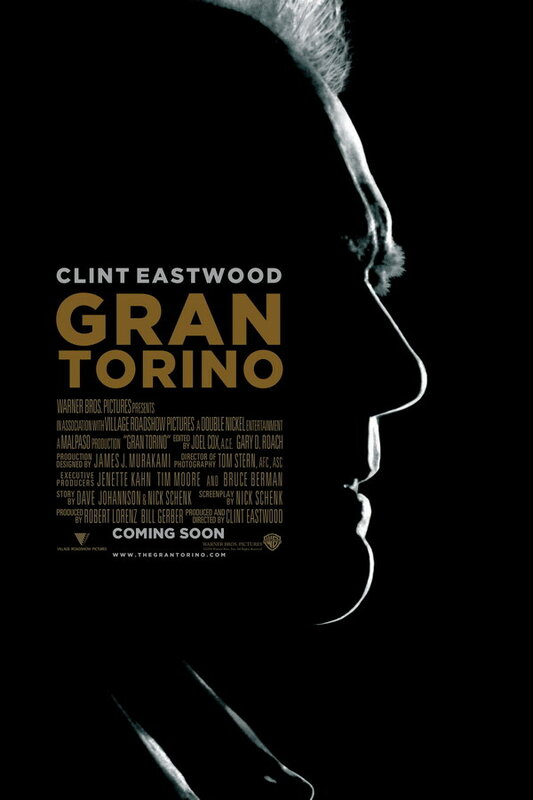 In addition to Gran Torino, Gotham typeface is also used in the following logos, movie posters or album covers etc., including: Detroit: Become Human, The O.C., Eichmann, HTML 5, Flipped, The Phantom Pain, Making A Murder, Sully (film), The Real Housewives, Conan, Inception, Open Happiness, Discovery Communications, That Awkward Moment, Beyond: Two Souls.